ECO-FRIENDLY STRAWS are a convenient and durable alternative to single use straws that are clogging our landfills and oceans. Plus, after a long and useful life, they can be recycled. Carry these chic and elegant yet practical straws with you wherever you go to help remind and inspire others that there is a simple and healthy alternative to plastic. 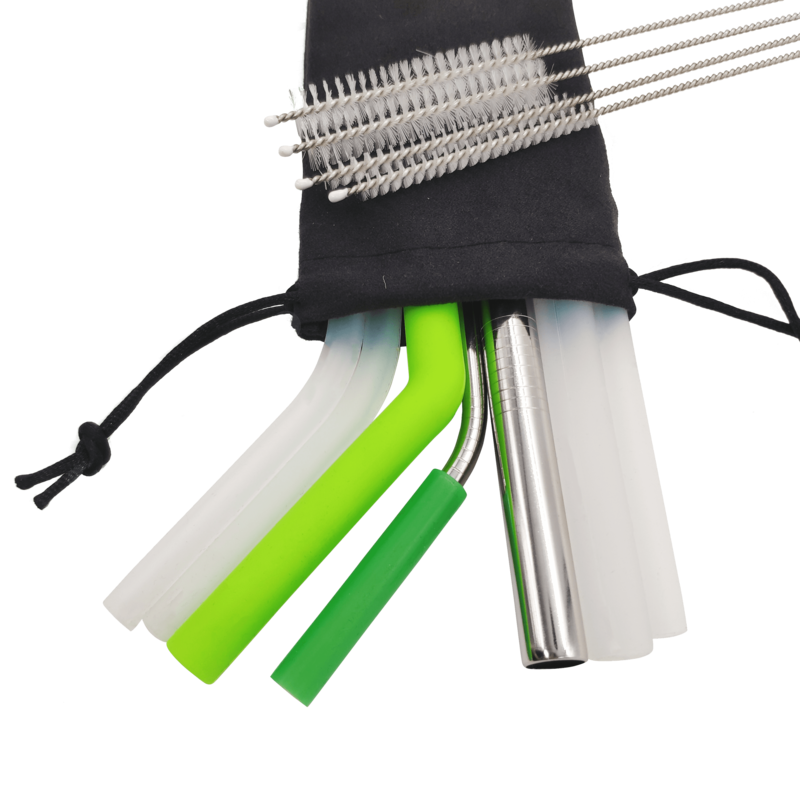 We are the first to bring transparent silicone straws to the market which makes it so much easier to clean them properly. Plus, you can see what you are drinking! Drinking a smoothie? Then the thicker straw is best. Drinking a hot tea or coffee? Then a thinner silicone straw is best. Drinking a cocktail? Enjoy it through the long bent clear silicone straw. Drinking a Whiskey or Gin & Tonic? 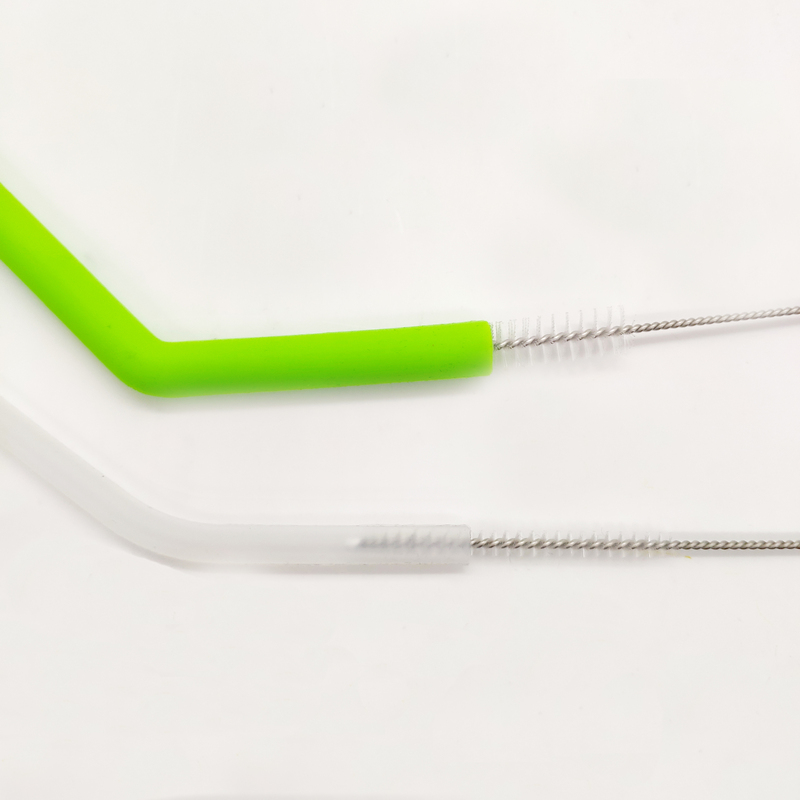 Cut the long straight transparent silicone straw in two and you have the perfect size straw. Plus you can see what you are drinking! 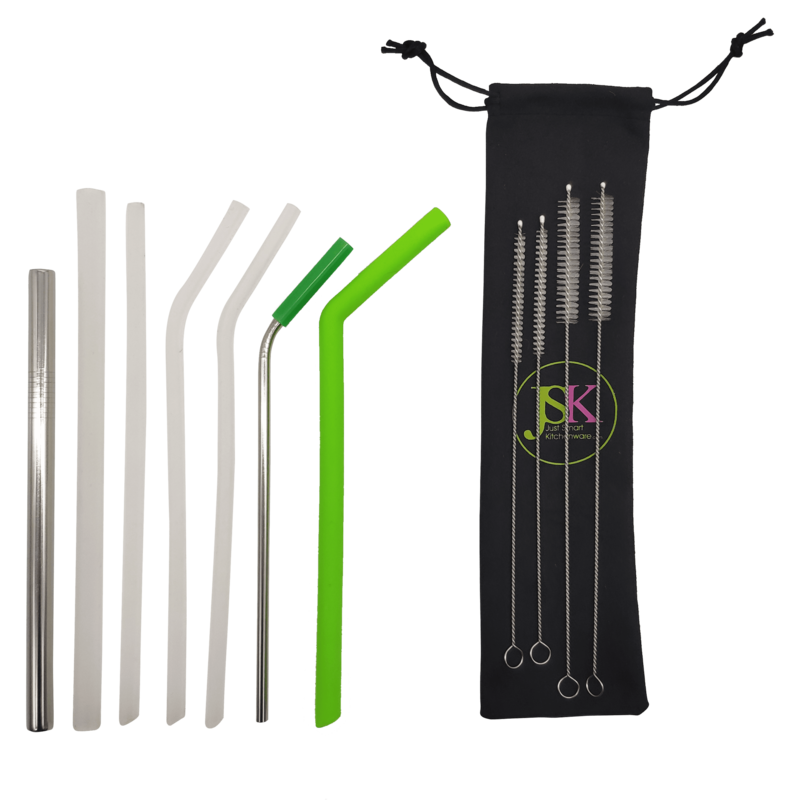 The pack includes 7 reusable straws, 2 thin cleaning brushes & 2 thick cleaning brushes. Being able to see through the clear straws allows you to clean them properly so no mildew or bacteria builds up. All straws are dishwasher safe. Made of premium LFGB certified food grade silicone (German standard), does not contain chemical or toxic substances and is BPA free. The silicone is also odourless. 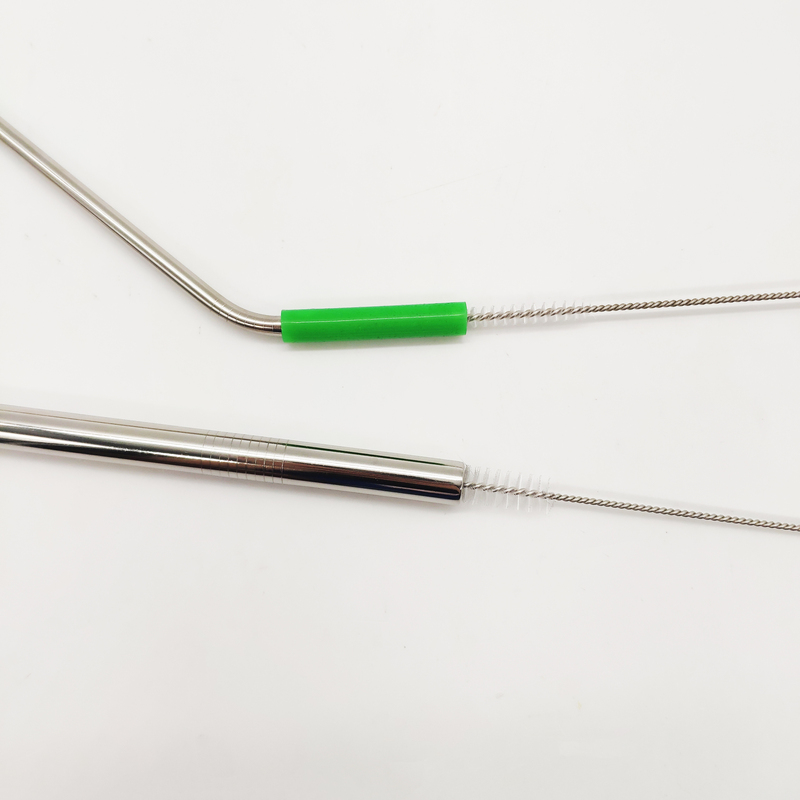 The metal straws are made with #304 stainless steel. Choose the straws you prefer and share the rest with family and friends. Cut the long transparent straw in two and you have a cocktail straw each! You each can have a thick and thin cleaning straw each too. Presented in a neat black cloth pouch (useful case to put the dirty straws in after using them), this ultimate plastic Straw replacement pack makes a perfect eco-friendly birthday, Mother’s Day or Christmas gift.